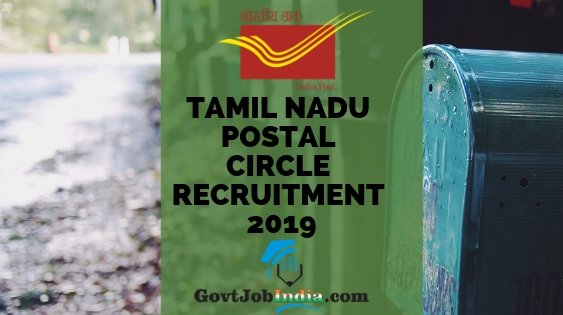 TN GDS Recruitment 2019– Tamilnadu Postal Circle has released a notification for the posts of Gramin Dak Sevaks in the Tamil Nadu Postal recruitment 2019. Online applications can be filled by the aspirants from 15th March 2019. A total of 4442 vacancies are expected. We are providing the link for filling applications through this page and the interested candidates can do so from our page. The official website of the board is linked below. The last date for online applications is 15th April 2019. Before applying, all are directed to go through the information such as the Tamil Nadu Postal Circle Qualifications, Age limit, and scale of pay etc. Candidates are recruited through a very simple procedure i.e. on the basis of the marks of class 10th Matriculation. All the aspirants can use the web address given below to submit their candidature with the duly filled application form. 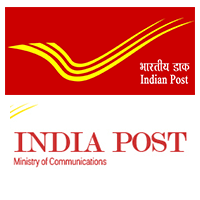 Our article gives detailed instructions to the candidates on how to apply for this vacancy in the” How to apply online for the Tamilnadu Postal GDS recruitment” section. The recruitment has no written examination, hence there won’t be any need for creating pages for the Tamil Nadu Postal GDS Syllabus and admit card. The final selected candidates’ list will be published in the page created by GovtJobIndia.com team. Hope candidates have got the basic summary of this article, so let us now skim through the main content. Computer knowledge Should furnish basic computer training certificate for at least 60 days from a recognized Computer Training Institute. Relaxable if the candidate has studied computer as a subject in class 10th or 12th. Selection will be based on matriculation marks of the candidate. Alternatively, you can go to the link provided below. Make a new id in the India Post registration. After effectively making an account, start by filling your TN Postal Circle 2 online application form. Fill in the application form without making any errors. Progress to pay the application fee and you have appropriately applied for this recruitment. How did you find this article about the TN Postal Circle Recruitment 2019? The information given here has been provided from the official PDF and applicants can cross check the details from the one linked above. This link will take you directly to the required advertisement. All your doubts and requirements can be left in the comment section. Our team will get back to it as soon as possible. We respect all your suggestions and needs. Also, we suggest that you share this article with all those who might be looking for such a positive recruitment notification. The Gramin Dak Sevak Recruitment Tamil Nadu Advertisement is definitely a wondrous opportunity. Please also subscribe to our website GovtJobIndia.com for latest updates about this recruitment or any other recruitment spread across the country. This will enable you to get notified whenever there is a new vacancy in your nearest city or state.